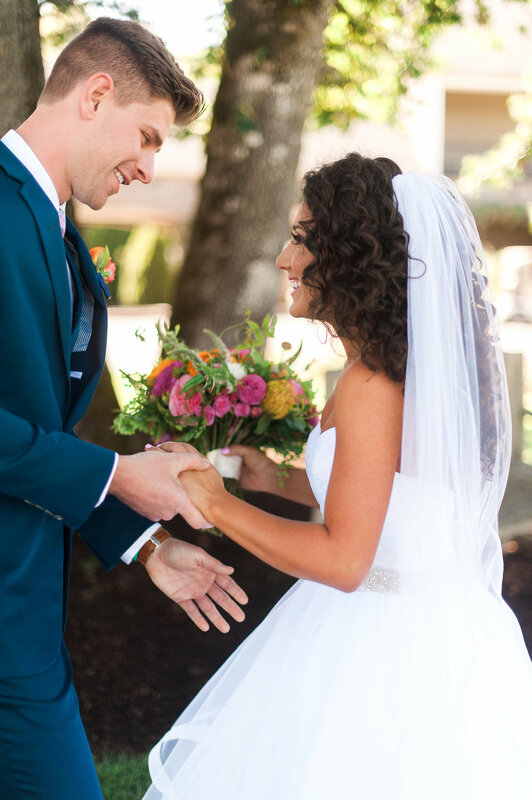 Ahhh Oregon Golf Club, the perfect place for a beautiful white wedding. 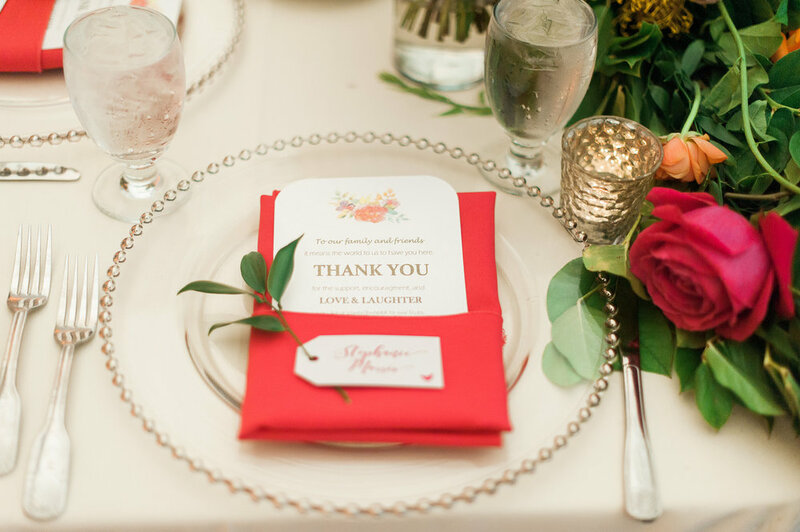 Or in Ashley & Andrew’s case, a BRIGHT pink, sassy day filled with laughter and tons of dancing!! Everyone knew that this was going to be a fun special day. Ashley and Andrew first met in college here in Portland. After dating for several years, Andrew proposed by renting out a theatre at Cinetopia and playing his own “Trailor” for her. Their romance is nothing short of one from a movie. 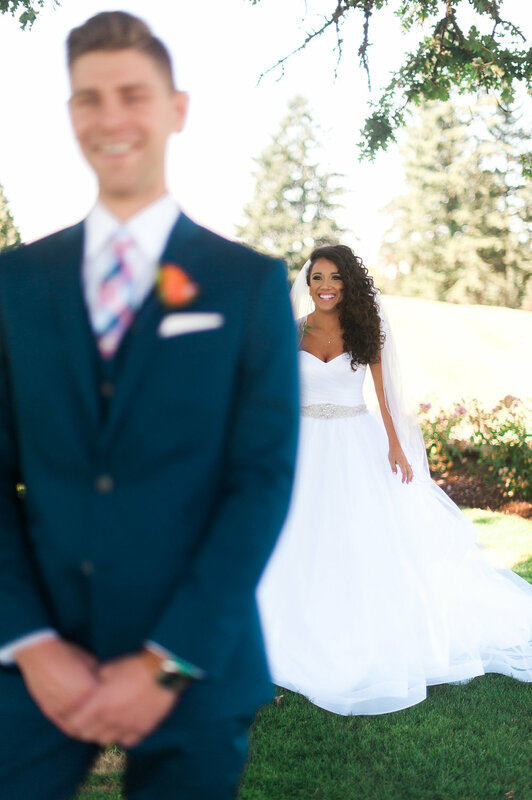 Ashley and Andrew were married July 1st, on a perfect sunny afternoon in West Linn, OR. 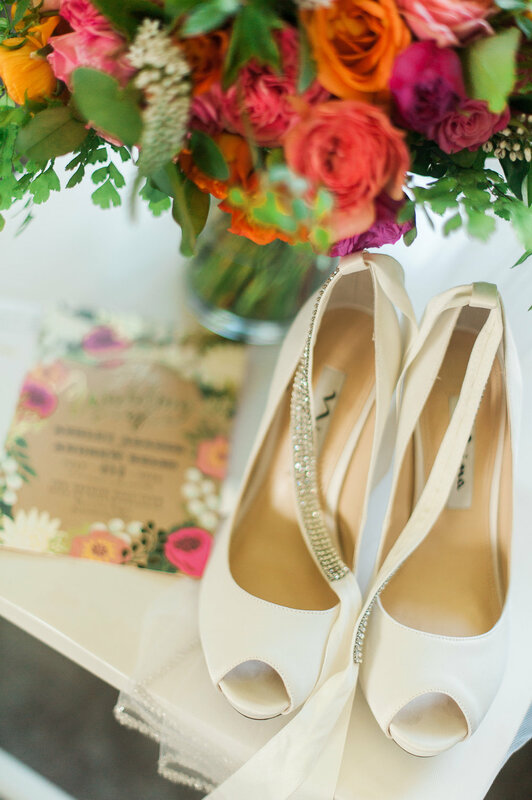 On the wedding day, Ashley’s signature ear to ear smile could be seen from a mile away. 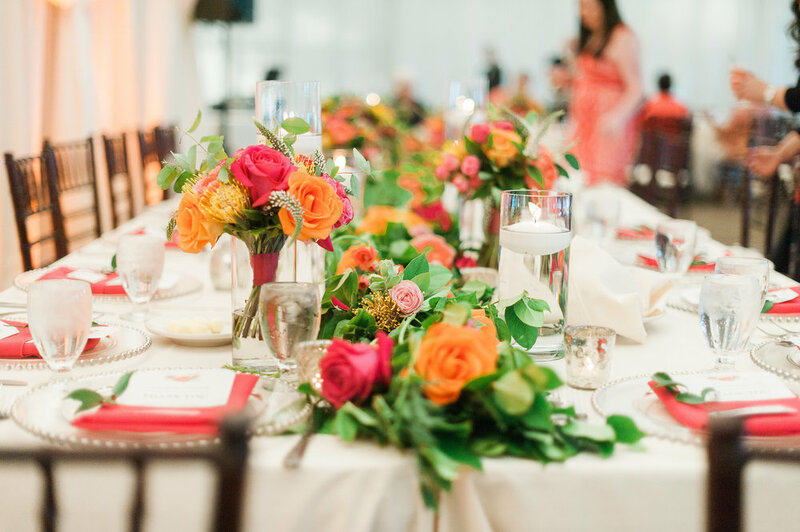 Zest Floral did a fabulous job of covering every inch of the Oregon Golf Club in hot magenta and orange garden roses. With Ashley’s history as a dancer for the Portland Trail Blazers, we knew the party would continue well into the night only to be interrupted due to a surprise choreographed dance by the groom and his groomsmen! It was truly that a day that embodied this gorgeous and fun couple. Congratulations you two!